"But there were false prophets also among the people, even as there shall be false teachers among you, who privily shall bring in damnable heresies, even denying the Lord that bought them, and bring upon themselves swift destruction" (2 Peter 2:1). Man is at war in this world. Continual is the battle and numerous are the enemies. 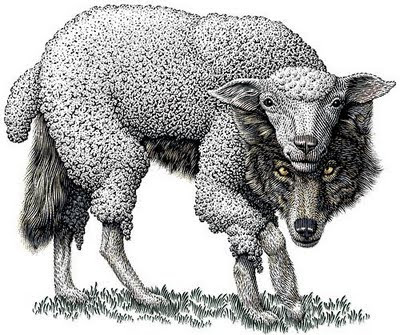 Among the most dangerous enemies belong the false teachers. Only if the mind of man is directed toward the Living God will he be safeguarded from these dangerous enemies. False teachers are either as blindmen or as thieves; first, because of their blindness they [false teachers] lead both themselves and others into destruction and second, because of their hatred and envy they intentionally lead others astray, and hand over both their souls and bodies to the fires of hell. The Lord Himself prophesied: "Many false prophets shall rise and shall deceive many" (Matthew 24:11). The apostle only confirms the words of his Lord. Both false prophets and false teachers will sow the seed of destruction among the people. These are "damnable heresies" by which some will deny their Lord Who redeemed mankind by His All-pure Holy Blood. Many false teachers have already appeared and have sown many heresies, damnable as tares, throughout the world. Brethren, if you know those "damnable heresies" which the Holy Fathers condemned at the Councils, then you will be able to recognize the principle seed of poison, which the devil through his servants sow in the field, over which the Savior had sown pure wheat. But even if you know or, if you do not know, direct your mind toward the Lord, enclose your mind with the sign of the Cross, call to your assistance the Holy and All-pure One [The Theotokos], chosen ones of God and especially your guardian angel and do not be afraid. Along with this always ask the Church and the Church, being more experienced and victorious against all falsehoods, will tell you what is the truth. For you are from yesterday and the Church is from time immemorial. Your memory is shorter than the memory of the Church. O Lord Jesus, You are the only Path, the only Truth, the only Life. O Lord do not permit, that we be led by false teachers and to apostate ourselves from You. To You be glory and thanks always. Amen.